Trekking up Valle Ascencio to arrive at the Torres del Paine lookout is the highlight of the W Circuit or Full Circuit in Torres del Paine National park. Located at the East of the park, this viewpoint looks straight out onto the three granite 'torres' from which the park takes its name and beneath them, a still grey-blue lake. After having made the 2-hour journey by bus or private transfer into Torres del Paine National Park from Puerto Natales the day before, this day-trek up to the look-out (which is included in almost every operator's itinerary) starts from the base of Ascencio Valley, at Refugio Las Torres/Camping las Torres or Hotel Las Torres. The hike up to the look-out is considered by many as one of the most difficult days on the Full Circuit, along with Paso John Garner, as you ascend some 800 metres. It takes roughly 4 hours to reach the Torres del Paine viewpoint from the start of Valle Ascencio, a pretty windy place to trek in Patagonian summer so make sure to bring a windproof jacket if you're there between October to March. It's also important to bear in mind that the last 45 minutes up to the look-out are a steep uphill climb over rocks and sandy terrain, and many hikers take trekking poles to help their knees on the way back down. 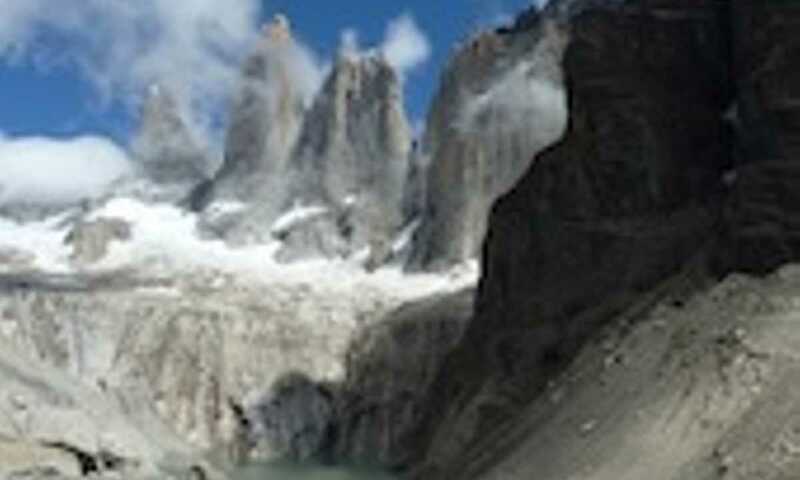 After trekking up to the look-out, hard-core climbers can continue up along Valle Silencio, past Campamento Japones and through dense rainforest for views of 'los Cuernos' mountains, Escudo (the Shield) and Fortaleza (the Fortress), as well as the back of the spectacular granite spires, Las Torres.